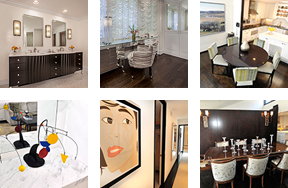 Pamela Singer & Associates specialize in kitchen, bathroom, powder room, bedroom, living areas, and finished basements. Every project receives white-glove services, timely deliveries and a special attention to detail. Pamela Singer & Associates provides interior design and renovation services for homes and offices in greater Detroit, including Birmingham, West Bloomfield, Bloomfield Hills, Franklin and the surrounding areas. For services outside of Michigan, please call (586) 940-5802 or psingerdesign@gmail.com.